Hi! 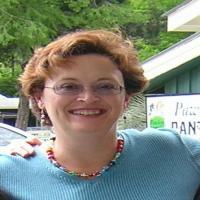 My name is Marilyn and I own four vacation rental condos in the Myrtle Beach/Grand Strand area. I hope you will stay with me should you be coming our way. Crashed this pad during March and though it was a little cold to swim in ocean, we had a wonderful time. The apartment gives you a beautiful view of the ocean and deck to enjoy it from. This cozy apartment was perfect for our group of friends especially because it was right on the ocean and right around where ever we wanted to travel in Myrtle Beach. The only negative is that with both the Master bed out and the couch pulled out, it was a little cramped with four people. However, we truly enjoyed our stay and I would recommend this to friends. Great communication! Easy to work with. Hope to have as a repeat renter.